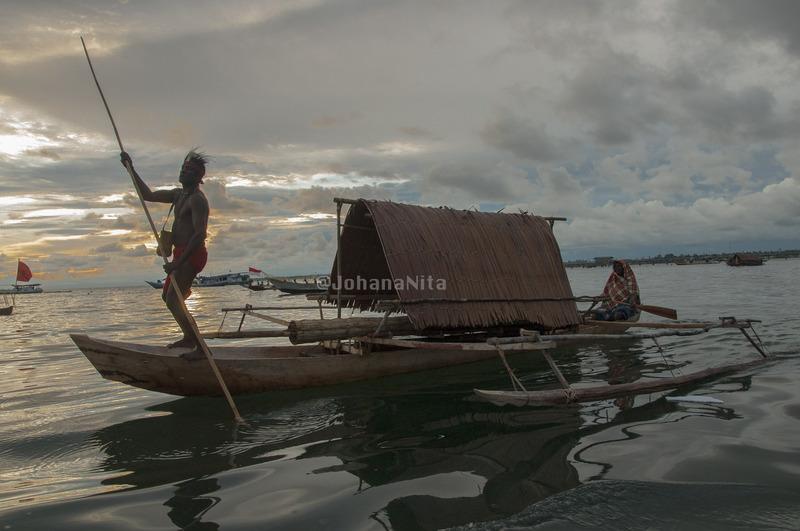 Semang Canoe – a traditional Canoe from Maerasi Tribe -Kaimana in West Papua. In the past, this canoe is used as a residence (houseboat). All activities carried out in them, such as cooking and sleeping. Canoe is made from a whole tree, which dredged the middle. The roof, use of sago palm thatch.